They can quickly see the status of all their tasks. 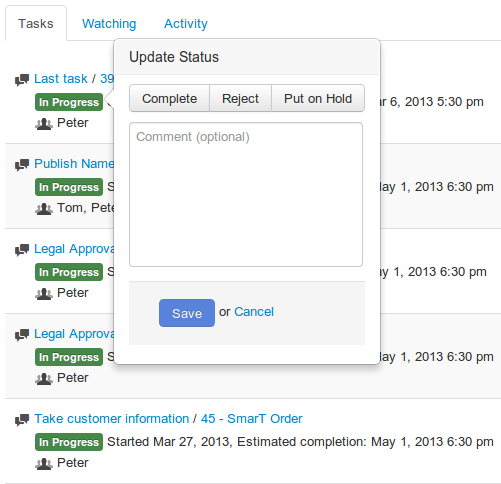 Change the task's status, add comments or reassign the task to different users all from one easy to understand screen. Finally a dashboard — optimized for your productivity. 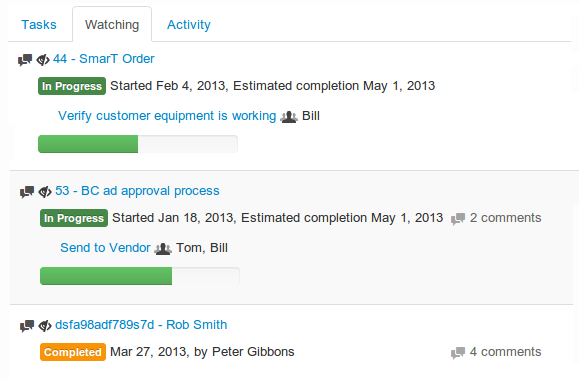 Your users can easily review all of their recent activity across all their tasks and workflows in one, central spot. 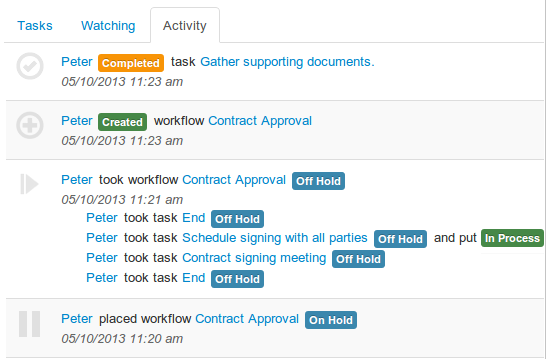 Mangers can switch between users to view their tasks, starred workflows and recent activity. "Watch" workflows that are important to you and they will automatically appear on your dashboard. 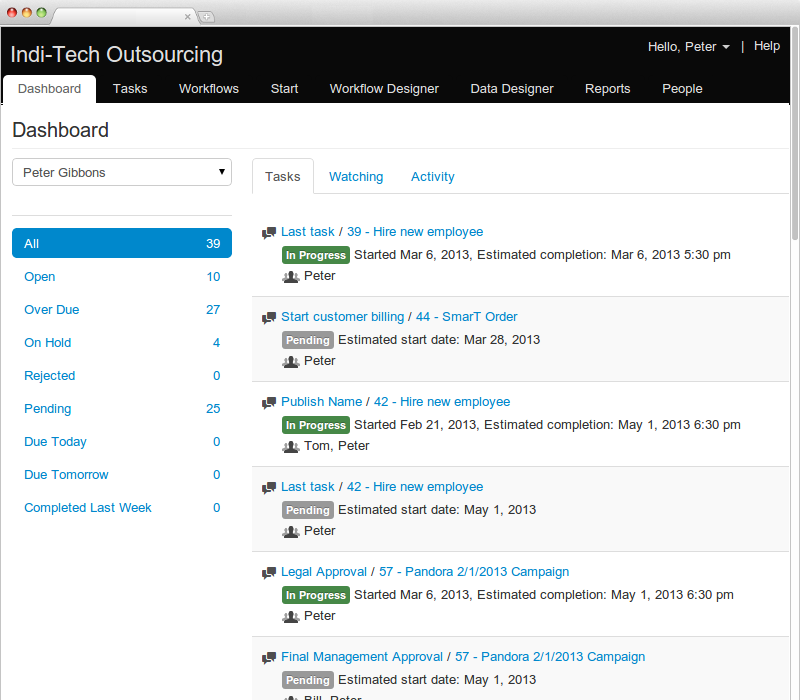 Flowmingo makes it easy to do your work from your dashboard.